ANYONE possessing a phonograph can read the “photovox letter” shown above, by merely placing the plate on a machine and playing it like any other record. 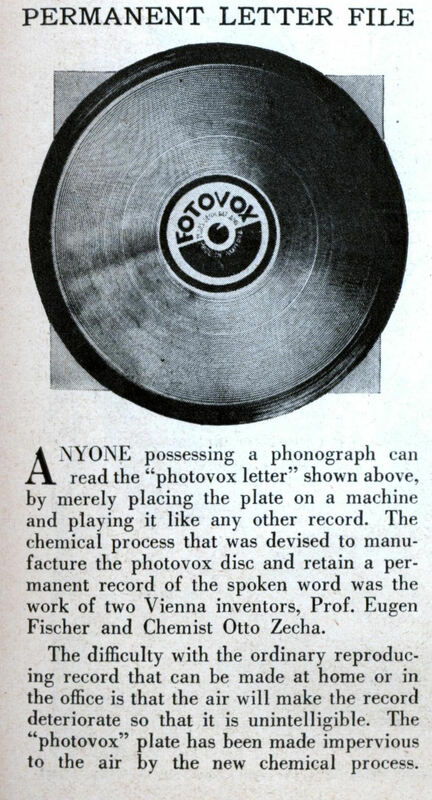 The chemical process that was devised to manufacture the photovox disc and retain a permanent record of the spoken word was the work of two Vienna inventors, Prof. Eugen Fischer and Chemist Otto Zecha. 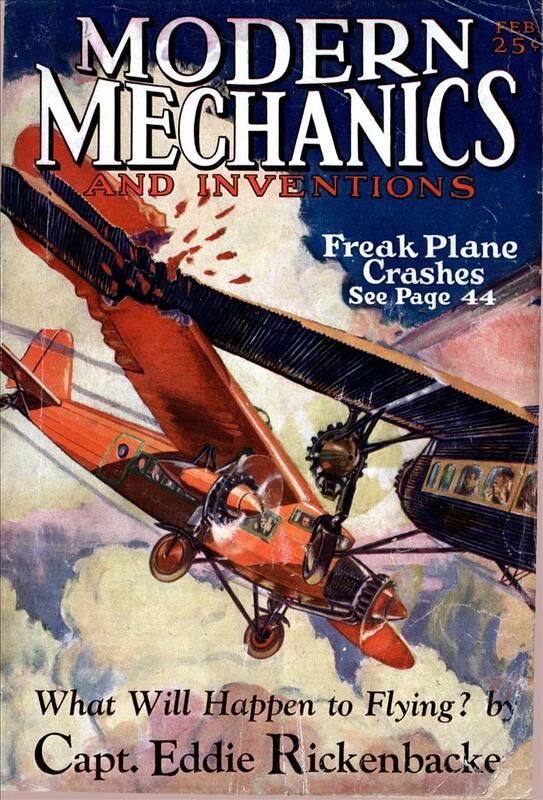 The difficulty with the ordinary reproducing record that can be made at home or in the office is that the air will make the record deteriorate so that it is unintelligible. The “photovox” plate has been made impervious to the air by the new chemical process.